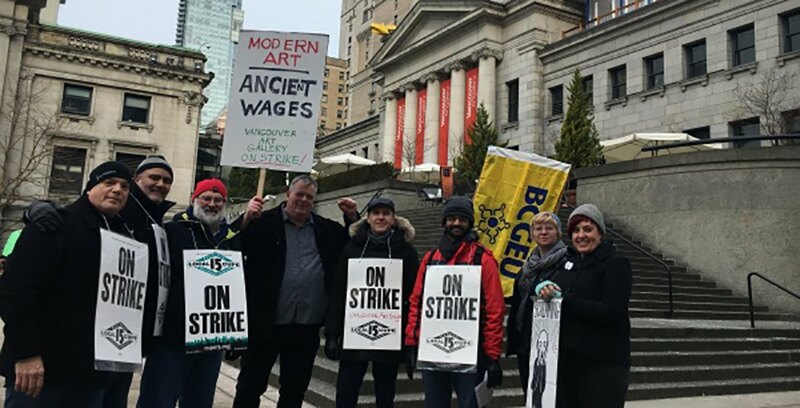 Four days after more than 200 unionized workers at the Vancouver Art Gallery (VAG) went on strike, the VAG and The Canadian Union for Public Employees (CUPE) Local 15 have agreed to move ahead to mediation. Williams explained in earlier statements that managers at the gallery have been pushing for a major change to their scheduling model, that if allowed, would subject employees to two-tiered working conditions. The VAG, however, shared with Daily Hive that there has been no such roll-back of benefits for its current team members – rather, the opposite. “The Gallery, an independent, not-for-profit organization, very much values its unionized employees and appreciates all of their contributions. To clarify, there has been no roll-back of benefits for its current team members and, in fact in many cases, benefits have been enhanced. VAG and CUPE 15 have been in a bargaining process for more than eight months. The two parties are scheduled to meet with the mediator on Sunday, February 10, at 9 am.